← Have You Tried: Making Sushi? 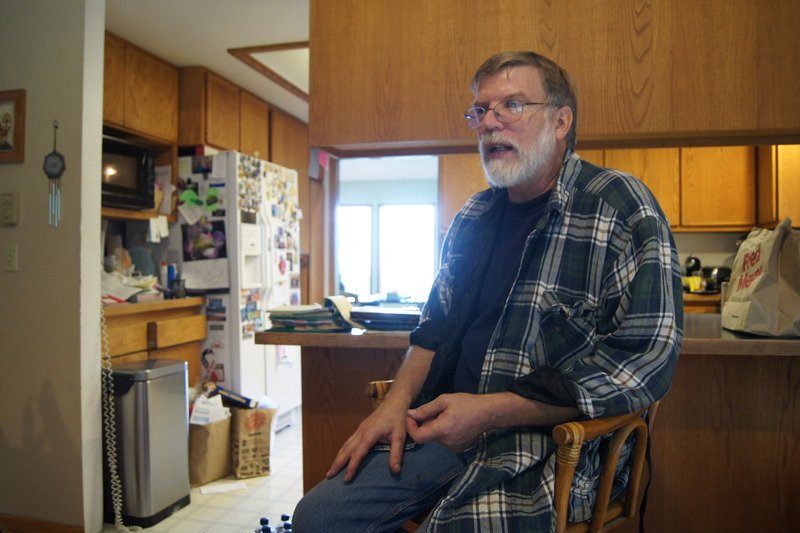 “You either have to be crazy or have been dropped on your head to be a bee farmer.” Mark, of Nature’s Best Oregon Honey, has farmed bees in the north-west hills of Portland since the 70’s, and is a self-confessed member of the latter group. Mark maintains that all bee farmers are crazy, because there’s no money to be made. It is clearly a labor born of love. Among this group of bee berserkers is an even smaller sub-group who try to be organic beekeepers. For these outliers the reward is the craft because, Mark explains, there are nearly insurmountable hurdles to certification. 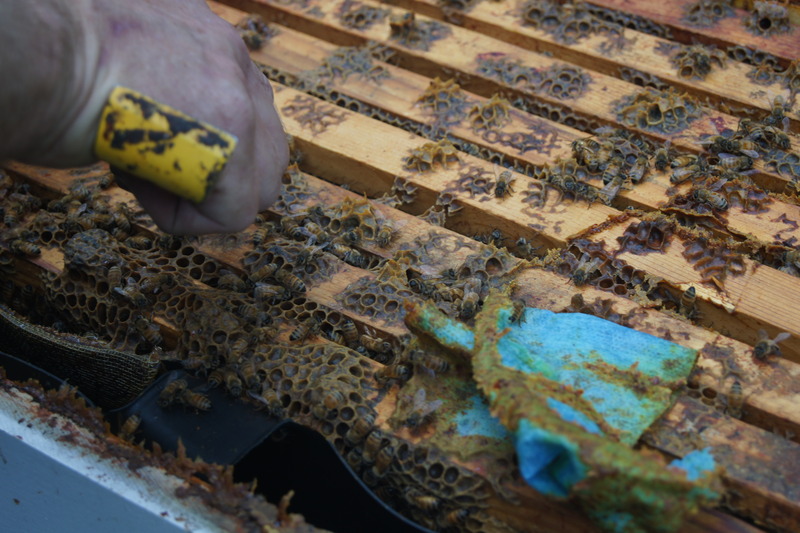 What money there is in beekeeping comes from unexpected places. Honey, the amber gold that we associate as the obvious engine for the bee market, is actually just a precious byproduct. Apiaries (bee farms) are like traveling circuses; apiarists (beekeepers) travel from farm to farm letting the bees perform their pollinating act. Herein lies the first hurdle to becoming an organic beekeeper. Beekeepers are inextricably bound to farmers for their livelihoods and are at the whims and exigencies of the conventional farming market. Mark is forced to follow the money and often it leads him to crops raised unsustainably. The organic infrastructure isn’t robust enough to allow apiarists to deal exclusively with organic farmers. To complicate matters further, bees can travel up to three miles from their hives, so in order to claim organic status with any certainty all farms within three miles have to be certified organic as well. Mark doesn’t outsource any of his labor, unless it’s to his neighbors or volunteers from their church group. I was given the grand tour, in reverse, starting with the refining of honey. Mark removes the honeycomb frames from the hives and runs them through a mill to remove a waxy cap that bees produce to help store the honey. 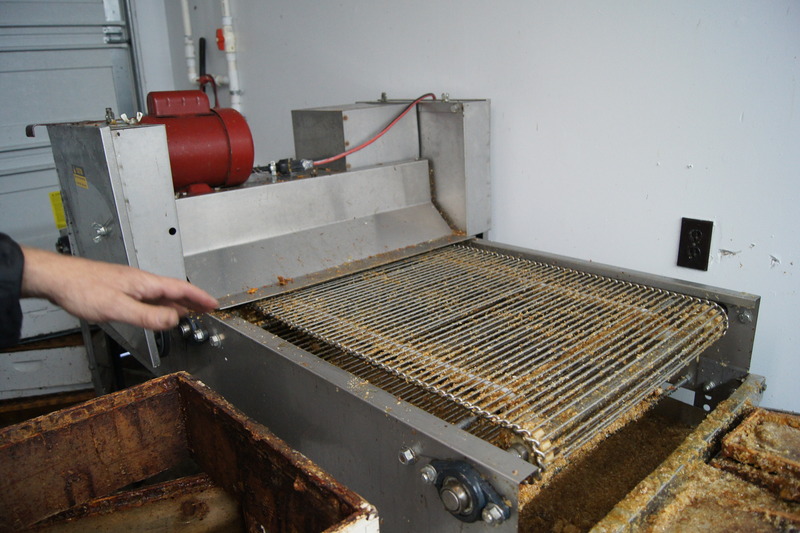 Then the frames are hung, run through a centrifuge and the honey is pumped into large tanks to settle before bottling. Seeing all this in September one doesn’t have an inkling of the mountain of work it took to get us here. Work for both Mark and the bees, begins in January. Every year Mark, along with at least half of all beekeepers in the U.S., caravans to Southern California for the single largest pollinating event of the year: the almond orchards. Nearly 1.7 million bee colonies are needed to pollinate the entire almond crop (each colony is roughly 40,000 bees). There are just over 2 million hives in the US. The rest of Mark’s work year is dedicated to following crops as they bloom. 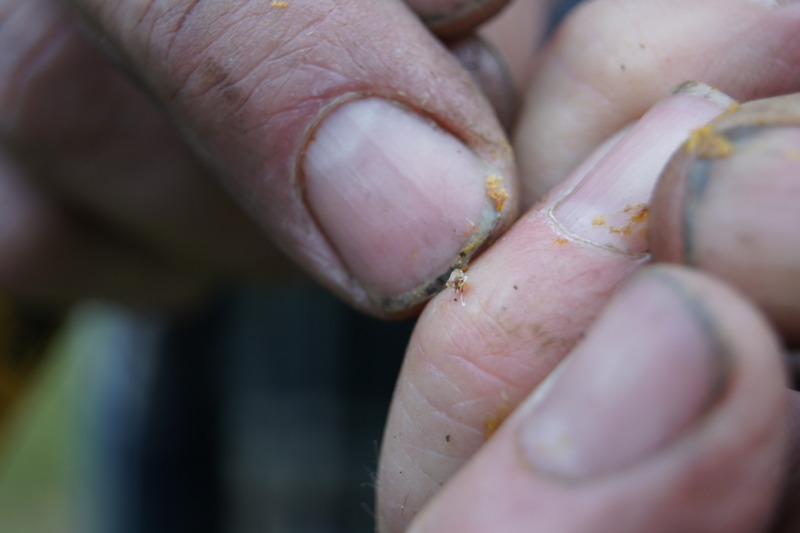 When Mark’s bees aren’t busy pollinating the almonds, they pollinate alfalfa, clover, and carrot seed. These different plants lend different flavor bouquets to his honey. Mark doesn’t have an inflated sense of his role as an apiarist, but it’s obvious by the end of the tour that the current food infrastructure is entirely contingent upon the honeybee. Large monoculture crops, like the California almonds, cannot survive without them. If the almonds were left to our native pollinators (such as moths) roughly 70% of the crop would not bloom. In the hierarchy of pollinators, we’ve artificially placed honeybees at the top. This shaky hegemony has placed our system at risk. The current agricultural infrastructure is further compromised by the Colony Collapse Disorder, a mysterious species wide disease. Every year Mark sees at least 30% of his bee population die. This statistic mirrors the national average. Bees have never suffered from our indifference, but are now suffering under our acute attention. Mark sees the Do-It-Yourself (DIY) beekeeping movement as potential redemption. Portland is fertile ground for a rich backyard beekeeping movement. Mark has tended bees long enough to know that this current keen interest is an iteration of a cycle that’s been around since the 70’s. The diehard apiarists that survived the ebbs and flows of fads all have grey hair. 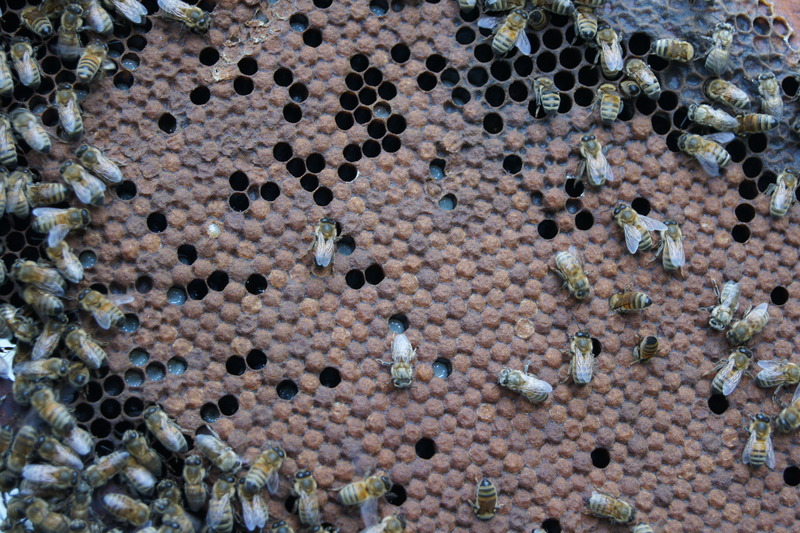 These small time apiarists often abide by sustainable growing practices. Hopefully they will have enough power to drive and shape the market. Mark is a proponent of the DIY movement, because any motion big or small to raise bees is a sharpening of a tool to help combat Colony Collapse Disorder. After talking to Mark the act of buying honey has taken on new meaning. Before, buying honey was just a need for sweetener. Now I feel as if I am playing a small part in sustaining our food system. Mark no longer wears a HAZMAT suit while working with his bees; that fear of being stung has long subsided. The fear that apiarists are awakening to is Colony Collapse Disorder. Many believe a move towards organic and away from the monoculture is the solution. Because apiaries are auxiliary to the actual production of food, it is hard for them to be the drivers of an organic movement. They can be a pressure point, but can’t change the system. So buy honey! This entry was posted in Food Warrior Interns, In the Pantry (food artisans) and tagged Ava Mikolavich, beekeeper, beekeeping, Colony Collapse Disorder, food warriors, honey, Nature’s Best Oregon Honey. Bookmark the permalink.